This book was Preaching Magazine’s Book of the Year for 2013 and has some significant endorsers. Its four chapters span 336 pages, with essentially one (maybe two) “worked example” of Kuruvilla’s proposed approach to handling Old Testament narrative. Let me begin with an overview of the chapters today, before highlighting some strengths and weaknesses tomorrow. Chapter 1 introduces the field of hermeneutics. Abraham Kuruvilla (herein AK) points the reader beyond simply pursuing the meaning of a text, to recognizing that with a “classic” text, there will be a timeless quality wherein the author “does” something with the text. Specifically, and this will always be true of the Bible, the author is projecting a “world before the text” – a moral ideal that people in vastly different cultures and epochs can still access as the text is preached effectively, leading to life transformation. AK finishes the chapter with six rules of reading, the last of which is the rule of centrality, which focuses interpretation of texts on the person of Christ. Chapter 2 focuses on what AK labels “pericopal theology” – that is, pursuing the theology of each pericope, or preaching unit of text. AK suggests that most contemporary expository preaching actually neglects the preaching text in favour of offering a broad systematic or biblical theological presentation of truth. (He is clear that both systematic and biblical theologies are important as guardrails for interpretation.) 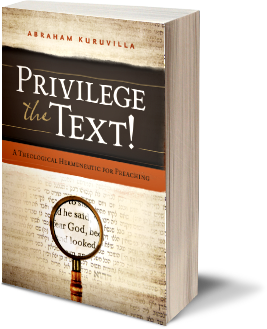 Instead, he is advocating that we Privilege the Text by pursuing the “pericopal theology” of each text, applying that to listeners so that they can align their lives with the “precepts, priorities, and practices of God’s ideal world,” what AK refers to as the “divine demand” present in every pericope. Chapter 3 pursues the issue of “divine demand” and the place of obedience. AK begins by showing that Dispensational, Reformed, Lutheran and New Perspective on Paul theologians all restrict the applicability of Old Testament Law today, but he is advocating that all law is applicable always – by means of the theological sense of each text. AK states that OT Laws “are not criteria for salvation, but are guidelines for sanctification.” (P153) God’s gracious provision through the Son and enabling operation of the Spirit mean that this is not merit-seeking legalism, but rather the “obedience of faith” that is the Christian responsibility in our pursuit of being holy like God. Relationship precedes, but does not preclude, responsibility. Chapter 4 picks up the question that becomes obvious by the end of chapter 3 –With repeated emphasis on the believer’s filial responsibility to obey (divine demand), how can the “rule of centrality” be brought to bear – i.e. how do we preach Christ? AK begins with an extended exegesis of Genesis 22. His intent is to show that the Bible as a whole projects “an image of Christ, with each pericope portraying a facet of this image: what it means to be Christlike.” (p212) Abraham’s faithful obedience augmented God’s previous promise and became incorporated into it. For AK, this exegesis demonstrates that Christ does not need to be superimposed onto the text based on later revelation, but instead a facet of Christ’s character is seen in the text. AK looks at the Redemptive-Historical or Christocentric approach to preaching, evaluating and critiquing the arguments put forward, as well as surveying the biblical passages used to support the approach (bizarrely, he does not survey John 5 here). The alternative? Christiconic Preaching. This is where facets of the image of Christ are presented through the theological sense of any pericope, thereby giving listeners the opportunity to align themselves with God’s divine demand that we be holy as He is holy, that is, that we be increasingly conformed to the image of Christ. Tomorrow I will offer a review by way of some reflections on this book. There will be more information coming soon, but I want to announce that my first book, Pleased To Dwell, is scheduled for release in the next few months. It is an engaging introduction to the biblical teaching on the Incarnation. For those of you on Twitter, be sure to follow @PleasedToDwell for tweeted snippets! And to finish off the list . . .
6. Be aware of who is truly wise. Step back and think of wisdom literature as a whole genre for a moment, consider the dynamic that is going on. In it’s simplest form it is this – a wise person is offering his wisdom to someone who is less wise. 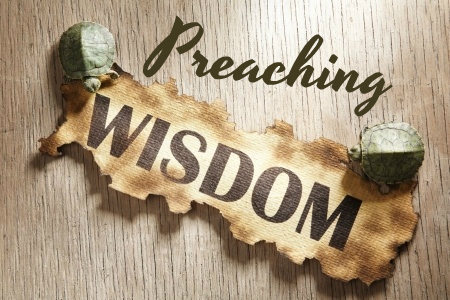 Remember this is not the same as knowledge or information, it is personal not abstract, it is applied in the complex situations of life, and we all stand alongside Rehoboam while the offer is made – who will we listen to – wisdom or folly? That’s why I said earlier in the week that when we get into wisdom literature, it can seem as though those big themes of the Bible have been laid aside for a while. They haven’t been, but we might need to work a little harder to see them and we need to need to be very wary of preaching wisdom in a way which is purely focused on temporary benefit for us. Proverbs are too often preached as “super-tips” for a better life now only. Be wary of approaching Song of Solomon in a way which only celebrates human sexuality in this life. Watch out for an understanding of Job that gives answers to suffering in this life without lifting our eyes to eternity. Let’s not preach wisdom in a way which only celebrates His gifts without lifting the eyes of our listeners to the wonder of the giver. Preaching Doxologies and also Preaching [Insert Word] Jesus, came in just behind The Preacher’s Clock: Procrastination? Preparation & Anticipation. Writing about Bible Reading usually gets a stir. A single post about Reading and Preaching seemed to get a big reaction for a stand alone post. The first in the Three Common Mistakes series proved the most provocative – Genesis. In second place came a mini-series called Dangerous Immunization Part 2, along with a series on the dangers of Exemplar Preaching – Exemplar Christi, Exemplar Homo-Biblicas, Exemplar Persona Illustrations and Legitimate Exemplar Preaching. I enjoyed pondering and writing the following posts and want to mention them now – Why God Still Works Through Poor Preaching and Losing our Youth by Dangerous Superficiality, which is closely tied to Static vs Dynamic Position Principle. I wish churches would use testimonies, but not without a guide along the lines of Ten Top Testimony Tips. I enjoyed the work that went into the Repentance Word Study in Acts. Thanks for visiting the blog this year. 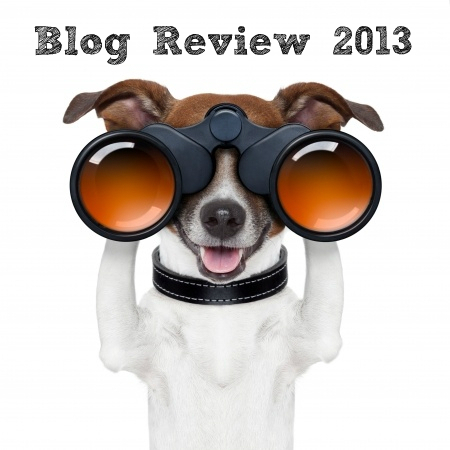 I hope that 2014 will be a good year for the blog, and an even better year for all our preaching! The front cover of this book (published by Authentic, 2013) has a snippet of an endorsement that states, “The best thing on Paul written for non-academics I have ever read.” I agree, although I can’t list a whole lot of other books on Paul written for non-academics, to be honest. Gempf is engaging and witty, his style draws you in and keeps you hooked. His concern is that Paul has gotten a bad rap and so people judge him without knowing him. I don’t have a negative view of Paul at all, but by the end of this book I liked him and his letters even more than when I started. This book is like a crash course in hermeneutics, but a genuinely enjoyable course . . . the kind taught by a master teacher who so captures your attention that you don’t realise it is a course in hermeneutics. Each chapter builds on what has gone before and Gempf seems to enjoy a Paul-like rhetorical conversation with his readers. His method is to select three epistles and work with each one for a few chapters. He starts with Galatians, then moves onto 1 Corinthians. He contrasts the two. Different audiences, different letters. A church in need of 1 Corinthians could be harmed by a slap-dash misapplication of Galatians, and vice versa. I loved the letter to the Galatians from the other side – a helpful feature of a section that gives a clear sense of the danger churches today face in respect to the Law and Christian spirituality. Throughout the author is convincing the reader of the importance of understanding what it meant back then before pondering what it might mean for us today. A wonderful dose of healthy hermeneutical teaching in a book that reads more like a good novel or biography than a biblical studies text book. After Galatians and 1 Corinthians, I did put the book down. Busy schedule and a family Christmas. And, to be honest, I thought Philemon might be a weak end to a great book. I was wrong. Philemon was a great place to add another set of dimensions to Paul and his apostolic writing. This is a great book for new Christians and long-term preachers alike. Maybe you went to Bible school and have preached through Paul’s letters many times. I still think you should read this book. It is refreshing and it will stir your appreciation for the epistles again. Perhaps your Christmas presents were wonderful, but lacked a gripping book. Why not buy yourself a late gift. In fact, buy two or three because you will be thinking of people to whom you must give a copy. Thanks Conrad, a wonderful book! To order this book in the UK, click here. The ministry of the word is stewarding and heralding God’s word in such a way that people encounter God through his word. We looked a little bit at the stewarding and heralding elements of the definition. Finally comes the intended result: that people encounter God through his word. I am glad this element is included. Too often preaching definitions settle for proclamation of principles and propositions and truths. But the ministry of the word should result in personal encounter with a personal God. Meyer rightly distinguishes his intent here from Blackaby’s intent in his term “experiencing God.” Blackaby’s position is considered only a positive transformation, but Meyer rightly notes that an encounter with God can have positive or negative response. He doesn’t probe Blackaby’s position, so I won’t add too much, except to say that encountering the Person of God is not about a mystical experience that cannot be described. God is a communicative God who meets us in His Word rather than in a realm “beyond words” so we should be wary of teaching that treats the Bible only as a stepping stone or an entry point into an experience. As Meyer points out, the same message will be the aroma of Christ to God . . . life to some, stench of death to others. Some will find biblical preaching profoundly offensive (hence we need the courage to herald, rather than trying to please everyone). But again, this is where I find myself nodding along with Meyer while pondering the places he hasn’t gone yet. The emphasis in the early chapters is on encountering God reverently. The focus is on trembling at the word of God. Don’t get me wrong, we should be trembling and reverent, but there is more here than the limitations of militaristic heralding can convey. What is profoundly offensive to some humans is not just the authority and judgment of God that holds them culpable and condemned. It is also the tender other-centredness of the relationship between Christ and His Father. The humility and self-giving of God is offensive to a humanity hell-bent on self-reliance and personal achievement – being “like God” if you will, albeit nothing like the true God! Feuerbach referred to the human tendency to project our own ego on the clouds and call that God. This is exactly why the revelation of the Triune God is so offensive to many. Yet at the same time it is that self-giving otherness of God that is so delightful and sweet smelling to those who are being saved. It is not just that the King is victorious and I bow reverently in His presence. It is also that the King picks me up, embraces me and brings me fully into the fellowship and love He shares with His Father. In true biblical preaching we encounter the person of God reverently, and we encounter the persons of God delightedly . . . captivated by the wonder of being united to the Son by the Spirit as his bride, crying Abba by the Spirit to the Father as His child, the friend of God and thus fully embraced in the relationship of the Trinity! This is Jason Meyer’s thesis in his book Preaching: A Biblical Theology. Let’s probe it a bit and I think you will find it to be a helpful definition. Stewarding – The preacher does not generate the message. It is a stewardship entrusted to us by God. It is His word, His revelation, His message, etc. Our task is to faithfully handle the Bible as we faithfully steward that trust. I like the image here. Many preacher’s treat the Bible as if it is merely a source book of ideas, or an interesting data dump that we can mine for sporadic treasures. Stewardship points to the sacred entrustment and to the value of the word of God. Let’s be good stewards of a very precious trust – in how we handle it, in how we first respond to it (since we are lead-responders), in how we prepare to communicate it to others. Heralding – The preacher is a representative who speaks. Meyer points to the wartime imagery of a herald who conveys a message with the authority of the king whose message he brings. Inasmuch as he heralds accurately, he heralds authoritatively, but it is not his own authority. So our task is to fearlessly herald the message we’ve been entrusted with as stewards. Again, I like some of the limits implied here. We are not called to offer friendly suggestion or polite tips, we are called to herald God’s message boldly and courageously. Some will respond to that message positively, others antagonistically, but our task is not to please everyone, even while trying to win everyone. It does take courage to faithfully handle and fearlessly herald God’s word. At the same time, I am slightly hesitant to restrict the imagery here to military proclamation for that implies something about the Person we represent: there is so much more to the Bible’s message than kingly authority and military conquest over sin, death and Satan. I am only at the start of Meyer’s book, but I am thankful for the good work he has done so far. A Bible-wide theology of the ministry of the word . . . this is something we should all be doing all the time. I’ll look at the final element of the definition tomorrow. When I hear a sermon that is essentially law-driven, that is, asking the law to do what only the grace of Jesus Christ can accomplish, I am immediately concerned about the preacher. I immediately wonder about his view of himself, because if he had any self-consciousness about his own weakness and sin, he would find little hope and comfort for himself and his hearers in that kind of sermon. You see this dynamic in the Pharisees. Because they thought of themselves as righteous, perfect law givers, they had no problem laying unbearable law burdens on others. Their misuse of the law had its roots not only in bad theology but also in ugly human pride. They saw law keeping as possible, because they thought they were keeping it. And they thought that others should get up and keep it as well as they did. They were the religious leaders of their day, but they were arrogant, insensitive, uncompassionate, and judgmental. They were not part of what God was doing at the moment; no, they were in the way of it. If you want more, get the book. This paragraph is on page 153.